The Orgone Meter is made up of the Orgone or, life energy from the Undead. To collect Orgone Kill the Undead. When the Meter is Full you can use a Special Move Or you can use half the Meter to Do a Combo Move with your Co-Op Partners. it's Wunderbar! Arms Race: Upgrades your Held Weapon. Weapons are sometimes dropped by zombies so keep an eye out. Weapons can not be destroyed but can be switched out for other weapons when you find them. A player can only Hold One weapon at a time and that weapon can be upgraded up to 3 times using Arms Race. When you die you lose your weapon. When you Clear a Stage you keep your weapon but it gets downgraded back to the original form. More weapons as the Game progresses. Mostly Themed Weapons. Once you beat a Stage you can Select it in Stage Selection. A standard Forest Zombies Everywhere. Beware of Exploding Barrels. Face off Against Avogadro and some new Zombies. Get on a Minecart and avoid the Broken Rails Donkey Kong Style. Fight off Zombies on Minecarts and don't fall off the rails. Switch Tracks to avoid traps. Fight Off Against Zombies and Armed Soldiers. General White intends to Blow up the Moon. Fight Him while he shoots at you from a Tank. Punch him when he sticks his head out. When his Health gets low enough he will come out of the Tank and Fight you Bare Handed. Zero Gravity, Teleporting Crawlers and Lots and Lots of Hellhounds. Richtofen is In the MPD., He will summon Zombies to Aid Him. Kill the Undead to Open the MPD. When it's Open beat up Richtofen. Then repeat the process. Warning: Zombies get stronger every time. Face off against undead from all previous Levels. As well as some new Zombies such as Templar Zombies, Egyptian Zombies and Swap Zombies. Fight off Against the O4. Minus Richtofen. Then face off against Samantha. Butch- A Burly American Soldier. OOOOOOHHHH SHINY! I mean cool! I like the concept of a beat-em up. Hell maybe at the end you could find out you yourself is a zombie who kills the O3 and samantha on moon! That'd be cool and it would tie into the storyline VERY nicely. I'm sure those 3 Names are just coincidences. Nothing suspicious going on.. I like seeing these ideas for more DOA popping up. It was refreshing to take a breather from the typical routine of Zombies and still be able to slay countless Zombies in a classic manner. A classic within a classic! I'd really love to see some "special" rounds or stages where the view and atmosphere are different from the same old "Birds Eye view, different map" pattern. Just to keep things fresh and the player on their toes. 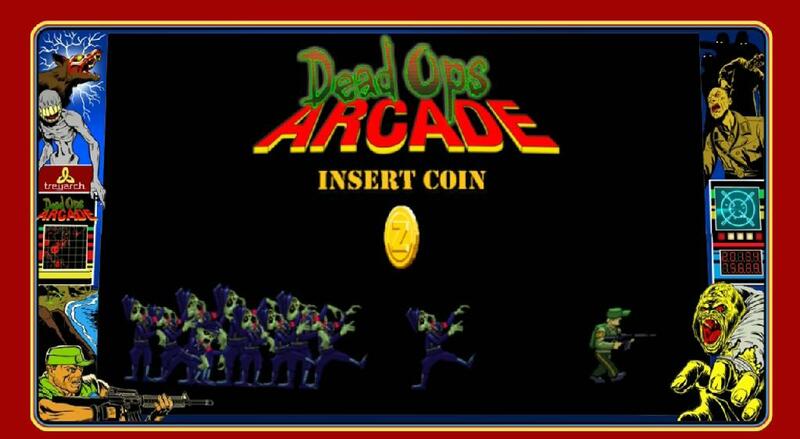 Such as the infamous 2D side-scroller we see in most arcade games as mentioned and zombies comes from both sides.